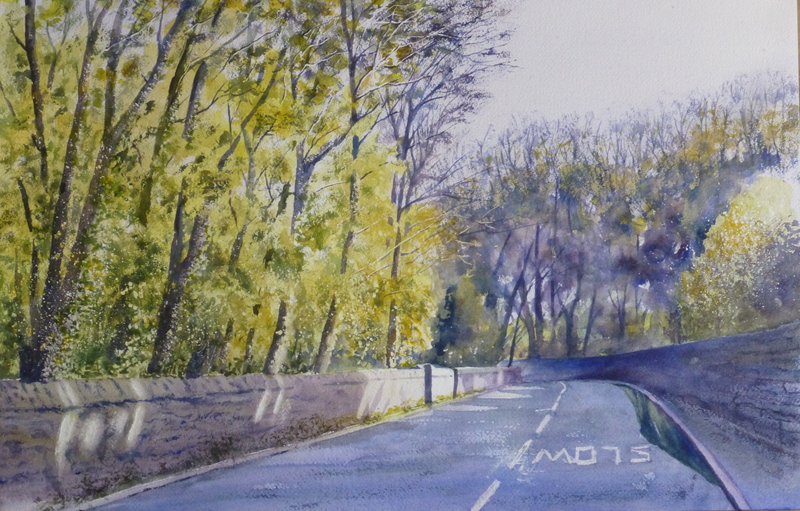 I was taking some paintings to an exhibition at the Crosby Hall Educational Trust, which opens tomorrow, when I turned down Back Lane which leads to Crosby Hall and saw the autumn trees in the sunshine. With the shaded areas in blues and purples there was a great clash of complementary colours giving the scene even more zing. I tried to paint the distant trees on damp paper whilst splattering the foreground trees. The light on the wall also gives a focus.